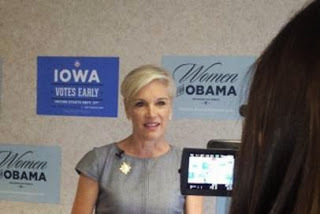 According to Planned Parenthood Federation of America’s 2012 IRS Form 990, CEO Cecile Richards made over one-half million dollars – $523,616, to be exact – for the fiscal year ending on June 30, 2013. That’s a lot of money to pay the CEO of a nonprofit organization, particularly one that claims to cater to low-income women. “Planned Parenthood works to make health care accessible and affordable,” boasts Planned Parenthood. Really? How much more affordable would Planned Parenthood’s services be were not its corporate bosses and affiliate CEOs making big bucks? For that 2012 reporting period, PPFA’s 12-member executive team tallied a combined income of $3.87 million. But if “[n]early half of Planned Parenthood patients rely on Medicaid coverage,” as Planned Parenthood states, does Richards really think she’d be making the same coin were government funding – to the tune of $540.6 million in FY 2012-13 – removed from Planned Parenthood’s total revenue of $1.210 billion? And actually, The Daily Caller was well over $100,000 off on Richards’ salary. Turns out Richards made $583,323 during Fiscal Year 2011 (July 1, 2011 to June 30, 2012). This represented a whopping 39% pay increase from the year before that, when she “only” made $420,153. So, actually, Richards’ 2012 salary of $523,616 represented a 10% pay cut. 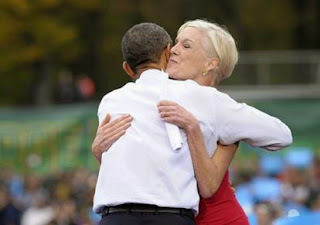 But this was because she took time off from Planned Parenthood to campaign for President Obama’s reelection – which paid off for Planned Parenthood handsomely via windfall income via Obamacare and other government funding streams, only kept flowing by Obama and other pro-abortion politicians. This sort of financial cushion then frees up Planned Parenthood to raise and spend money to elect pro-abortion candidates, who then return the favor. See how the circle of loot works? And where are the liberals – the Occupy Wall Street types – who supposedly despise such top-heavy income? They oppose Big Oil, Big Pharma, and Big Finance. But Big Abortion? Not on your life, or rather, not on the lives of innocent little babies.